A chef was ordered to pay two police officers £150 each in compensation after he threatened to kill them in a drunken rage. Adam Rennie, of Bruce Gardens, Inverness, was also fined £900 after he admitted two charges of threatening or abusive behaviour. 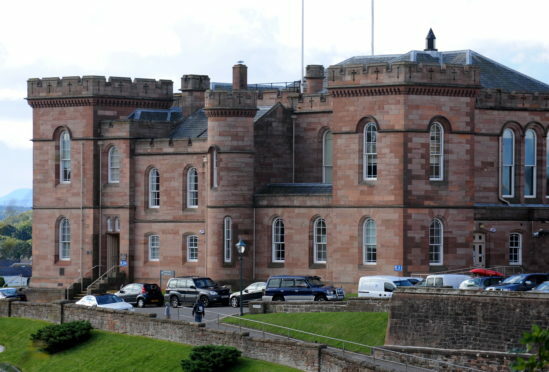 Inverness Sheriff Court was told yesterday that the 31-year-old had just secured a new job at an Inverness hotel. But Sheriff David Sutherland told Rennie that if he missed one weekly £50 payment of the fine, he would go to jail immediately for 45 days as an alternative. The Sheriff heard that Rennie had been at a party at his partner’s home in Balvaird Terrace, Muir of Ord on June 1 last year. Both had been drinking, and an argument developed between them. It resulted in Rennie shouting and swearing at his partner of two years before he was asked to leave. Then on January 6 this year, Rennie had been taken into custody by police in High Street, Inverness on an unrelated matter.